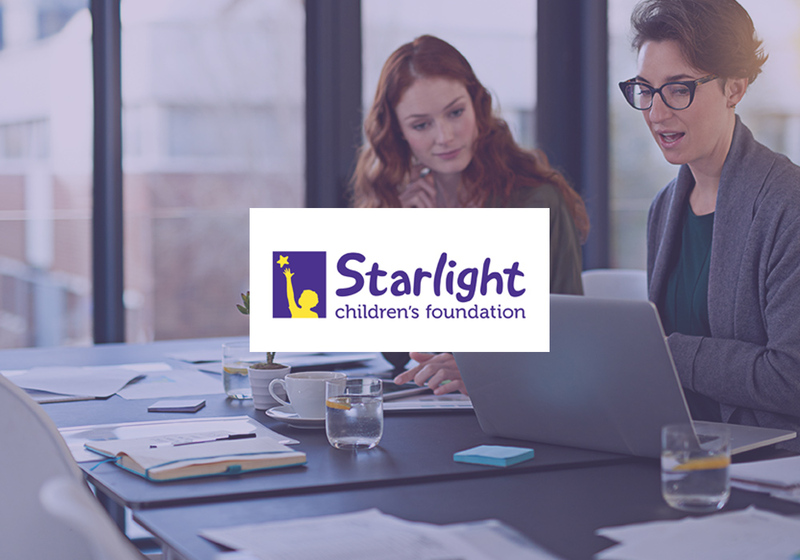 Effective organisations start with a purpose, and for Starlight Children’s Foundation, their mission has been to brighten the lives of seriously ill children and their families. Active in Australian hospitals since 1988, the Foundation offers a combination of in and out of hospital programs to provide positive distractions for sick kids. In 2010, after the Global Financial Crisis the Starlight Children’s Foundation wanted to re-ignite passion for their mission in their team members. Susan Henry, Head of People and Culture at Starlight said the Get Connected program aimed to do just that. “We want everyone to feel they have purpose and meaning in their work and the best way to do this is through experiencing the impact of our programs firsthand,” she said. The whole of workplace program requires all employees – including the executive team to work in a Starlight program once every quarter or four times every year. Captain Starlight – working alongside a professional performer to provide positive distractions for young children in hospital. Livewire – working with teens in hospitals in workshops for art, music making, coding and more. Livewire.org.au – working on the other end of a live website chat to provide support to sick teens. Wishgranting – helping grant a wish for a sick kid. Examples include accompanying their family to a theme park or meeting a celebrity. Ms Henry said the program was effective because it showed team members their work was contributing to a valuable purpose. “Employees understand the difference they can make to Starlight’s mission through their professional skills,” she said. “If they understand Starlight’s mission, and the role they play in delivering it, they are more likely to be engaged to be excited to come to work each day. A personal “Starlight Story” is shared at the start of each monthly team meeting by CEO, Louise Baxter. So far, Get Connected has had a positive influence on employee turnover, trust and creating pride and advocacy, with each employee acting as an unofficial ambassador in the community with their Starlight Story. The Starlight Children’s Foundation works in every paediatric hospital in Australia in Starlight Express Rooms, which are medical free zones used to facilitate their programs. Recently, the Starlight Children’s Foundation was listed as a Great Place to Work in 2017. 77 per cent of millennials are looking for purpose and meaning in their work? (Delivering Purpose and Meaning).